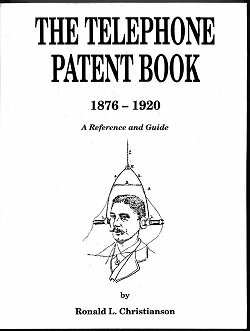 This page contains listings of various books, pamphlets, and other publications and reference materials on telephone related topics. This is not an endorsement of any items shown here; rather it is a list compiled to aid visitors to this web site in locating further information on the subject of telephony. At the end of this page is a listing of books for further reading from the Sound Print web site. Some may be available in your local library while other may be out of print and hard to find. To jump to this list, click HERE. Historical publications no longer published and not shown here can be downloaded directly from my web site on my Historical Page. I have also scanned some old Bell System books, magazines, catalogues, technical journals, etc. not shown here. These scans were made into PDF files and are on a CD called the "Telephone Documents CD" which I have made available for sale for non-commercial use. For information about the Telephone Documents CD and others, see the Telephone CD Ordering Page. For AT&T and Bell System historical information, photos and video tapes, contact the AT&T archives historian, Sheldon Hochheiser at hochheiser@att.com or Barbara Sweeney at basweene@lga.att.com or you can call her at (908) 226-2390 or call the main archives number (908) 226-2386. There is some free information available from AT&T but video tapes, photos, etc. will have to be purchased from AT&T. 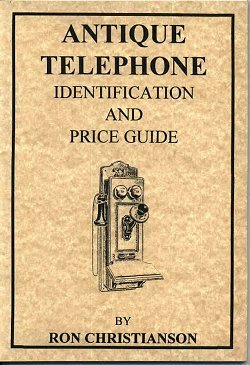 Many local phone companies offer educational material on the historical and technical aspects of the telephone. 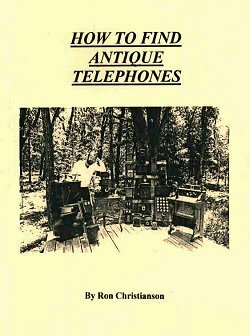 Here is a newly released book as of November 2001 that I have a copy of called "Just An Old Telephone Man" by Rufus "Judge" Pattengill..
Click HERE to view his web page describing the book and for ordering information. Later on I'll have a book review available once I've had time to read the book completely. Here are three of several telephone books I personally own. I highly recommend these to collectors and historians. 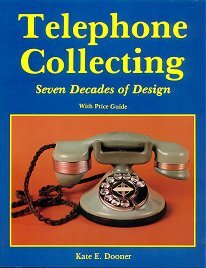 These make great reference material when discussing various telephone models with other collectors (who have these books) since you can refer to any of the hundreds of photos and descriptions contained in these great books. The following books and others can be purchased from Mike Sandman...Chicago's Telecom Expert (http://www.sandman.com). Not shown below which I also have and is also available from Mike Sandman is the Pay Phone History Scrapbook. It is a must for the pay phone collector! Another supplier of numerous books on telephony is Phoneco. 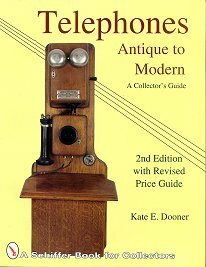 in the fascinating and down-to-earth context of antique telephones. Click on the front cover image above for prices and how to order. The following three books are available from Ron Christianson's web site at http://www.museumphones.com/books.html. Please go to his site for details. 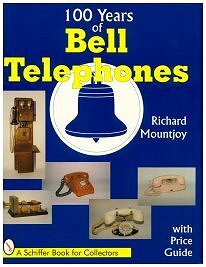 A limited number of the above three books were printed - please check the Cyber Telephone Museum web site for the latest information on availability, descriptions, prices, and ordering information. handbooks provides valuable information to the communications industry. entry level personnel through management. Coin Telephone, Key Telephone System, and Basic Telephony Course. This collection is also available through Phoneco. Telephone operators will want to check out a publication called "Voice on the Wire" (VOTW). Because this Books and References page was created long after I created the page for VOTW, and because I don't want to cause any broken links from other sites that point to the original VOTW page, I chose not to include redundant information on VOTW here. I'm Sorry, The Monopoly You Have Reached Is Not In Service. . .